The first limited release from Blasta Brewing dives straight into the murky world of NEIPAs. 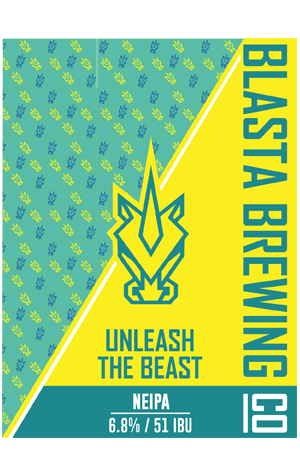 Informed by a trip Steven Russell took to the UK shortly before brew day, Unleash the Beast is the largest beer to date from the Burswood brewery and ably delivers the tropical breakfast juice vibe that drinkers have come to expect from the style. The name refers to the expansive ingredients for style – three yeasts, five grains and four hops – as well as the massive aroma that filled the venue side of the brewery with tropical fruit aromas when it was kegged off. Learning from the past year's local releases and a few Treehouse beers, Unleash the Beast ramps up the booze to support the lack of bitterness, a move that translates as a slight but welcome prickle underneath the creamy mouthfeel, albeit in a beer that finishes slightly drier than most.